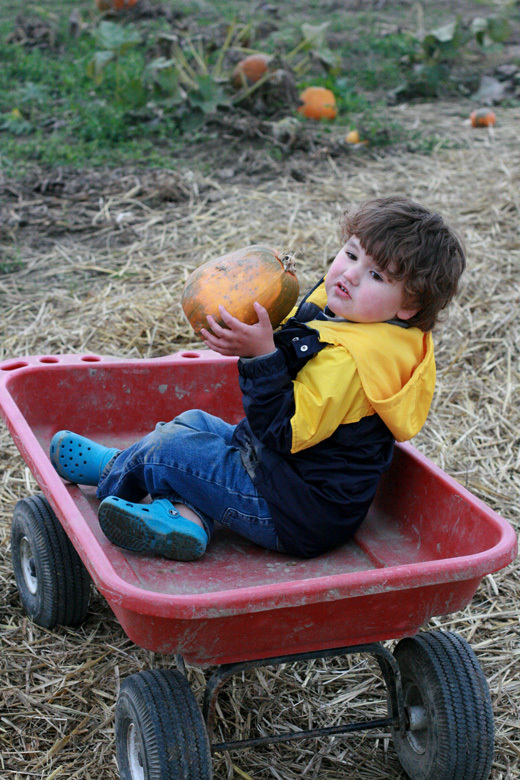 We wanted to get pumpkin picking somewhere this year, and I heard from Jennifer at True Confessions of a Real Mommy (yea for NPN friends!) that her family was going to a super-cool place. So … we went along! 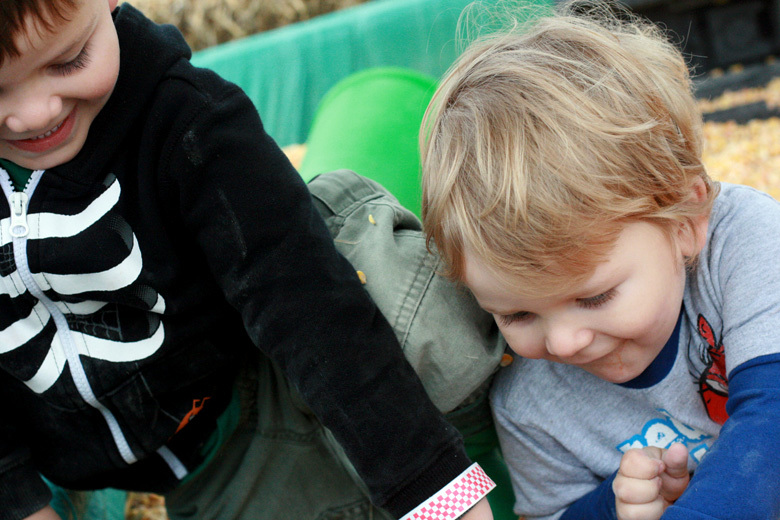 Check out all the fun (sooo much more than just pumpkin picking, though we did that, too). Corn crib! Sensory play that's slightly less disturbing to me than sand. Mikko's shoes and jacket immediately came off so he could dive in. Jennifer's adorable L1 & L2. 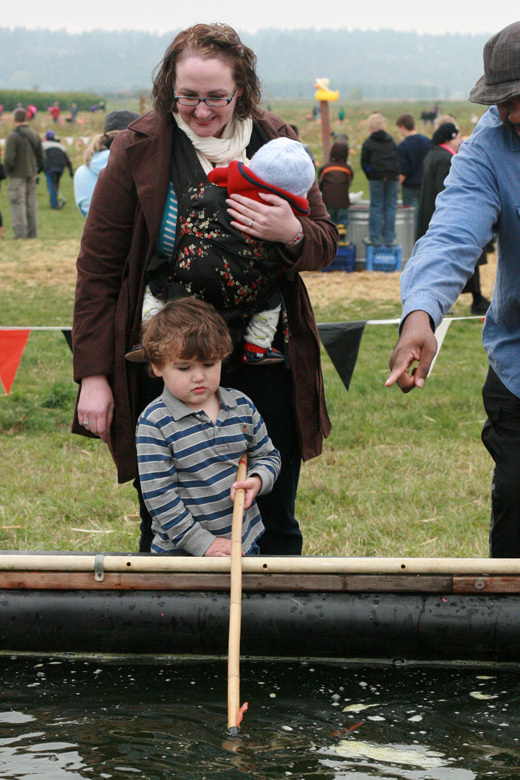 Duck races! This was Mikko's favorite activity. No, seriously, it was. As Sam said, Mikko should tell his face he's having fun. L1 & L2 have got it going on. 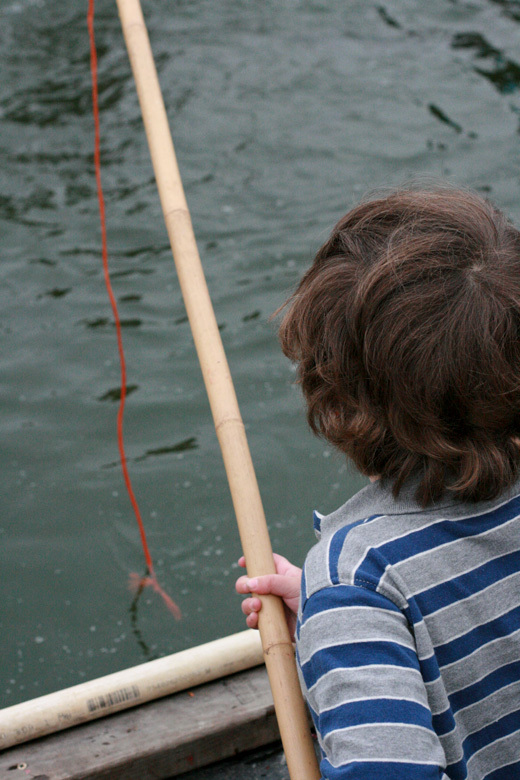 I have to admit, I would have been mega-freaked out if we had inadvertently caught one. 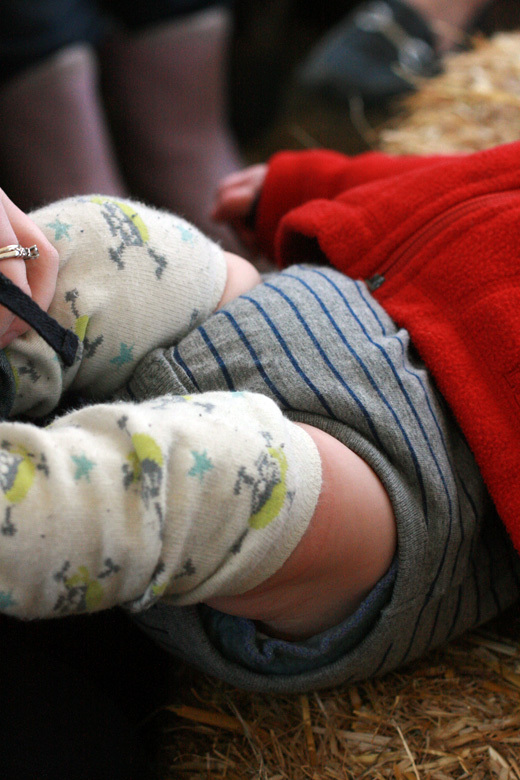 Chalk this up to weird places to change a diaper. Best way to calm him. Chalk this up to weird places to breastfeed in. Barrel train! Now that's the appropriate face. We barely fit. Sam did not, at all. 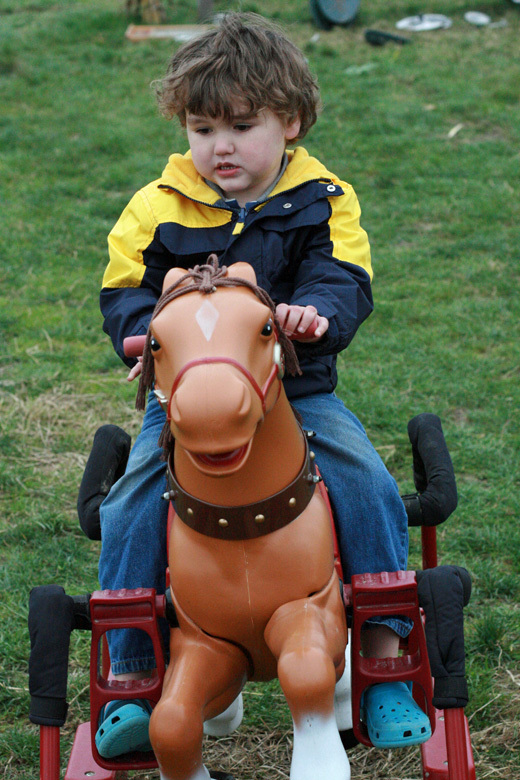 Mikko had to ride three times and would have gone many more. Farm animals! 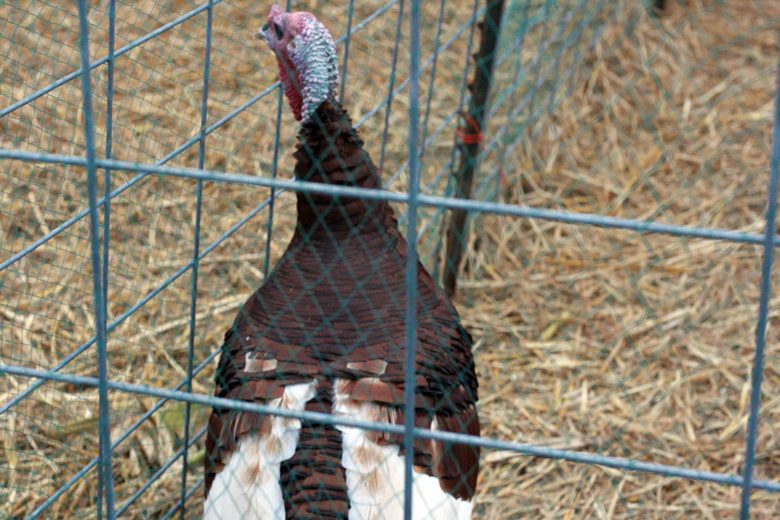 This turkey is not interesting at all, but I wanted to brag that I've figured out how to manual focus, more or less. Only took six years. Sam's a good actor. Mikko's actively reading the map. 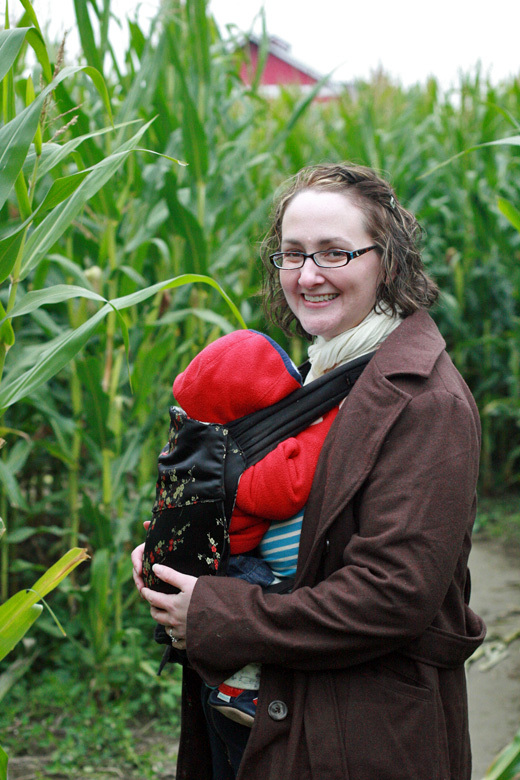 As it turns out, corn mazes are kind of dull once you're in them, so we enjoyed the initial novelty and then backed on out. Phew. 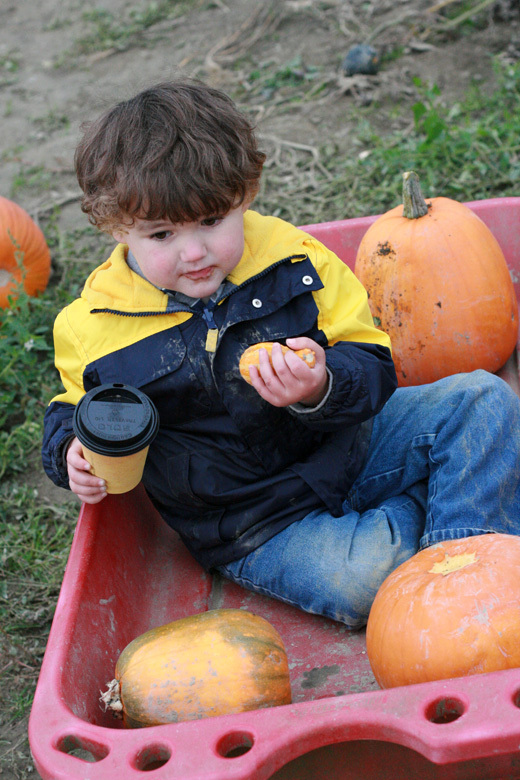 After all that pumpkin picking, hot chocolate is called for. 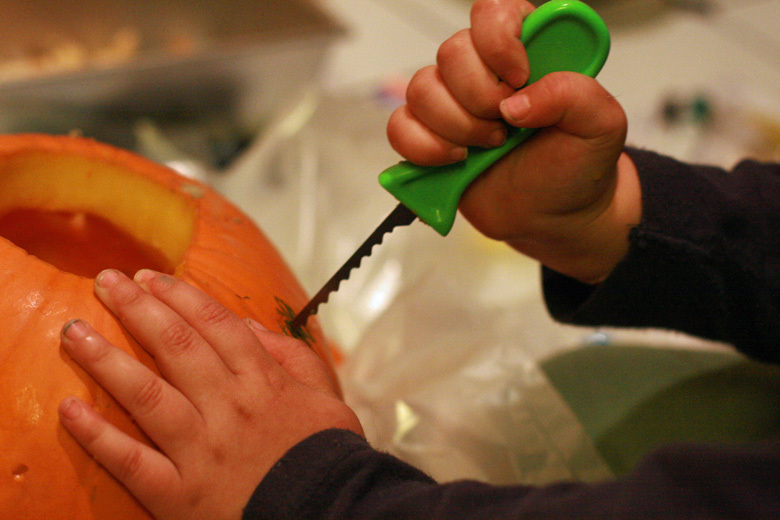 We had to carve our pumpkins, of course. 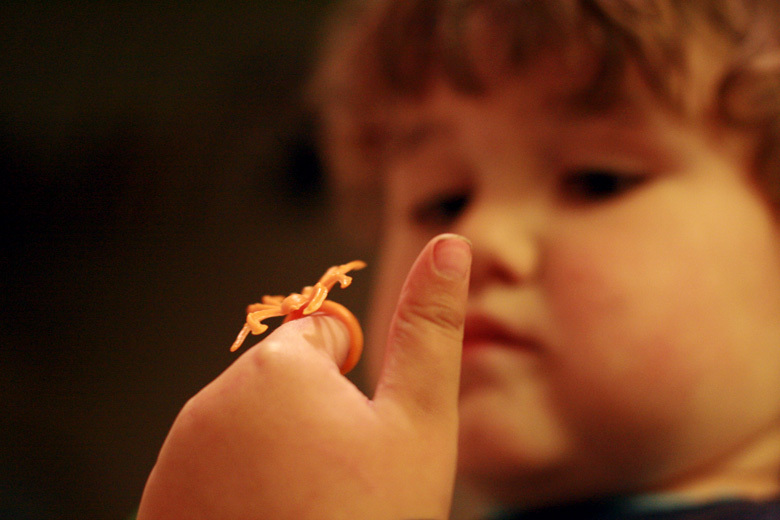 This spider ring photo is for Momma Jorje. 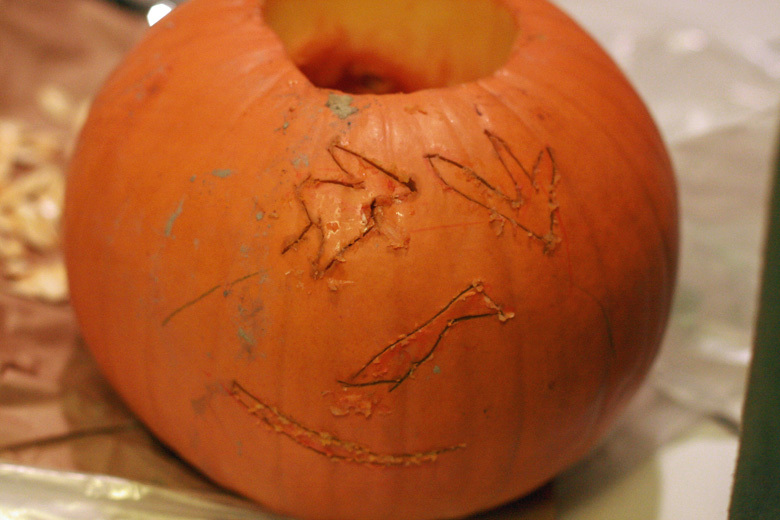 I was glad Mikko drew the face for my jack-o'-lantern. My favorite part of this whole outing? 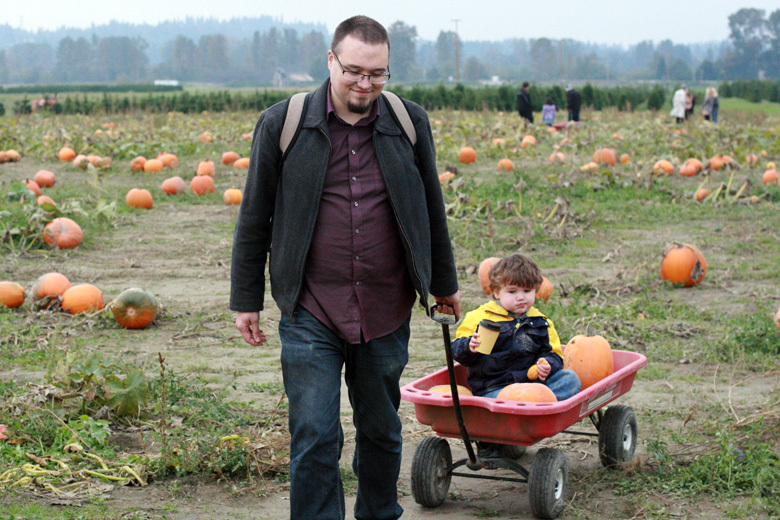 That Mikko insisted on getting four pumpkins: one for each of us. 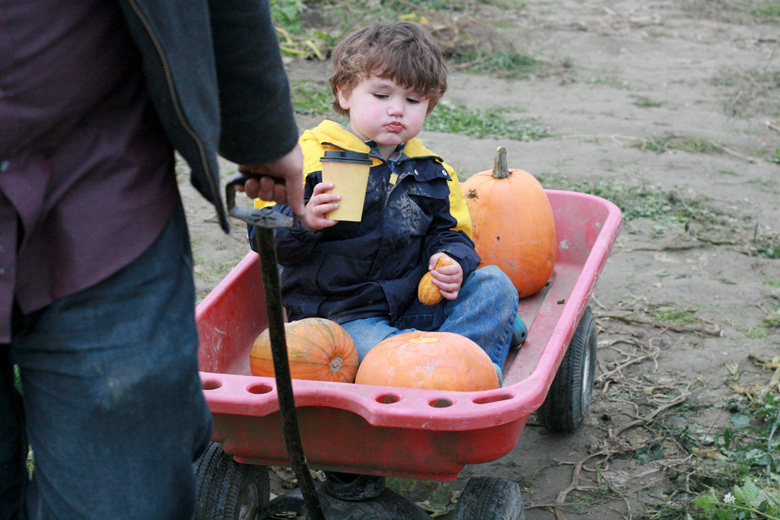 And look at the baby pumpkin we found for Alrik! Bonus from four pumpkins! Garden supplies + yummy snack. 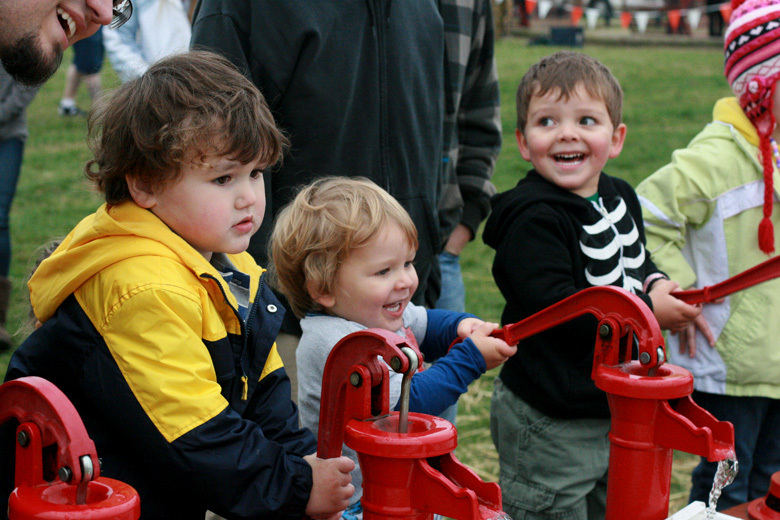 You'll also love this week's photos on the Halloweeny topic of Dress-Up Play over at Natural Parents Network! 2. 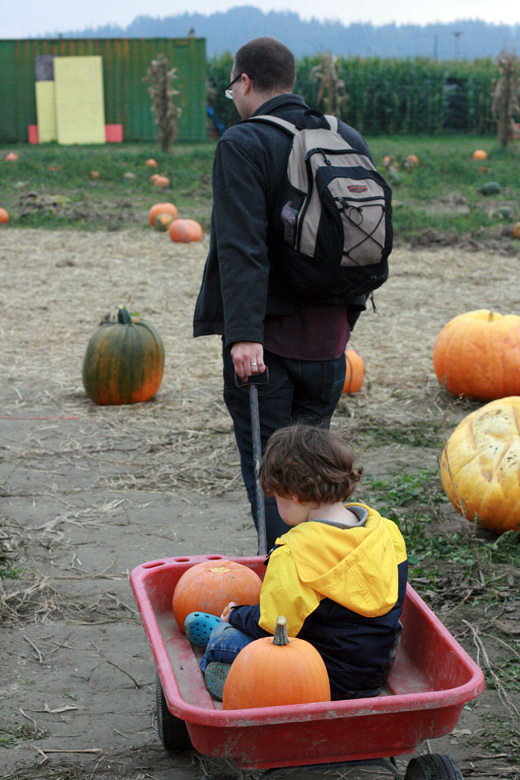 Farmers Daughter - Pumpkin Patch 2011 with Linky! 31. How Was Your Day? Das ist ja eine tolle Idee! Leider gibt es das nicht bei uns in der Gegend. Dsa würde meinen Kindern bestimmt auch gut gefallen! Ja der Chiemsee war toll und ich war auch das erste Mal dort, Meine Bande und ich waren woll begeistert. 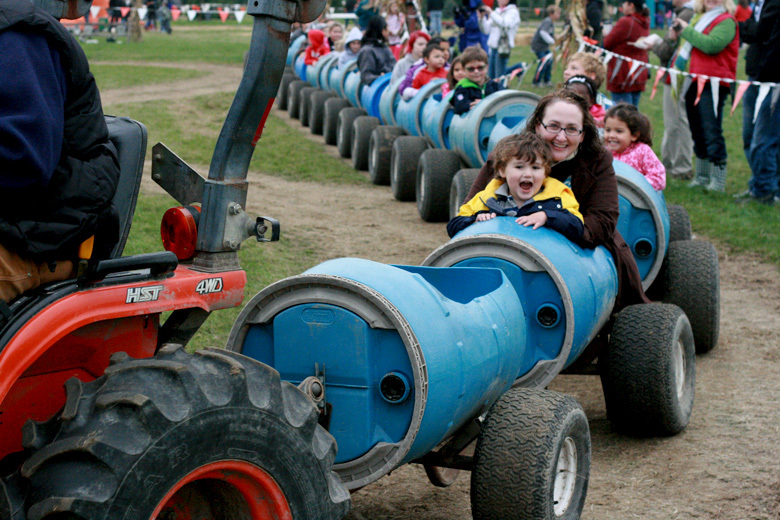 Love the series of pictures of the pumpkin patch.. the barrel train is really cool!! That is the coolest place. Duck races?? 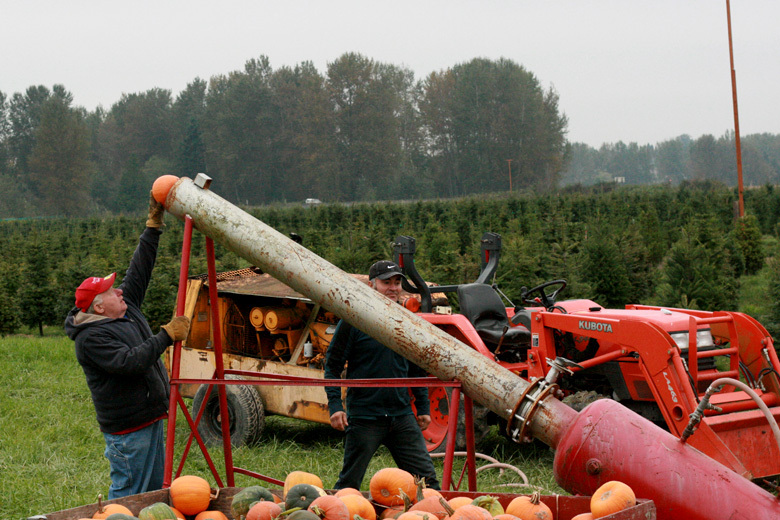 Pumpkin Cannons??? Holy moly that is awesome. 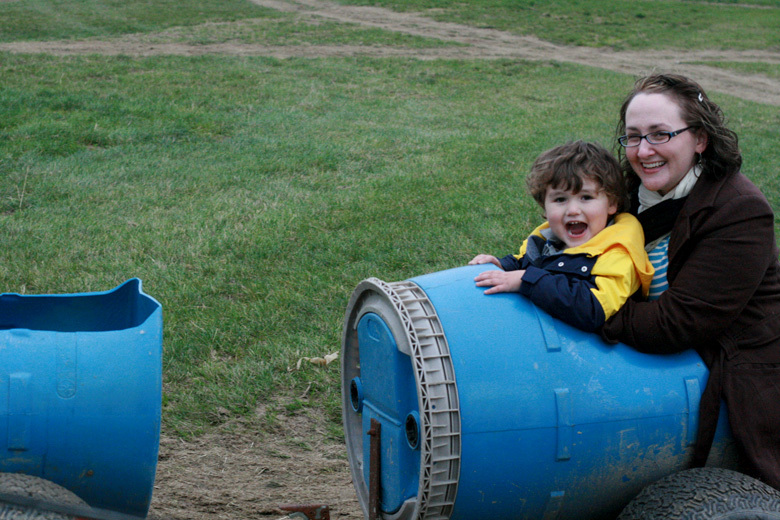 And the barrel train... sigh... I wish there were cool places like that here. 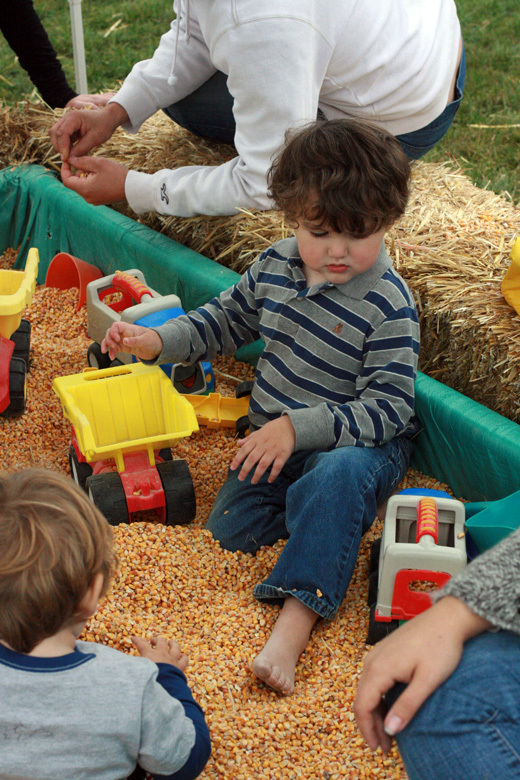 We did recently go on a farm trip, but it wasn't THAT cool (although the corn pit was Baby T's favorite. 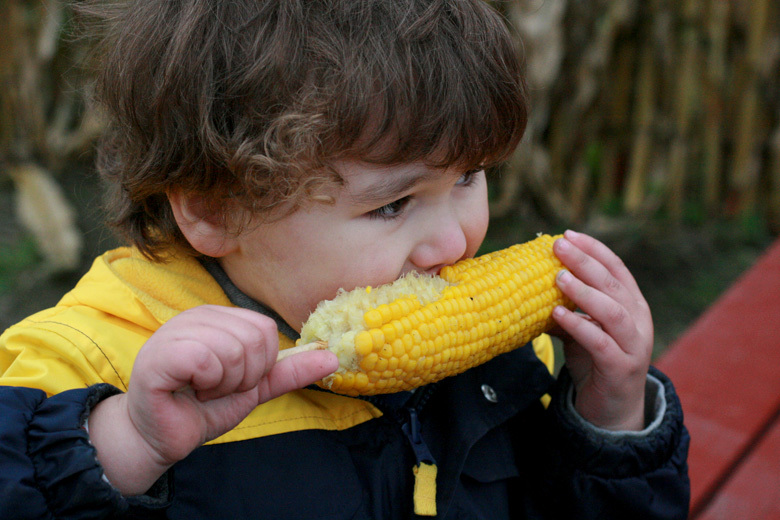 It feels awesome to let the corn slide between your fingers). 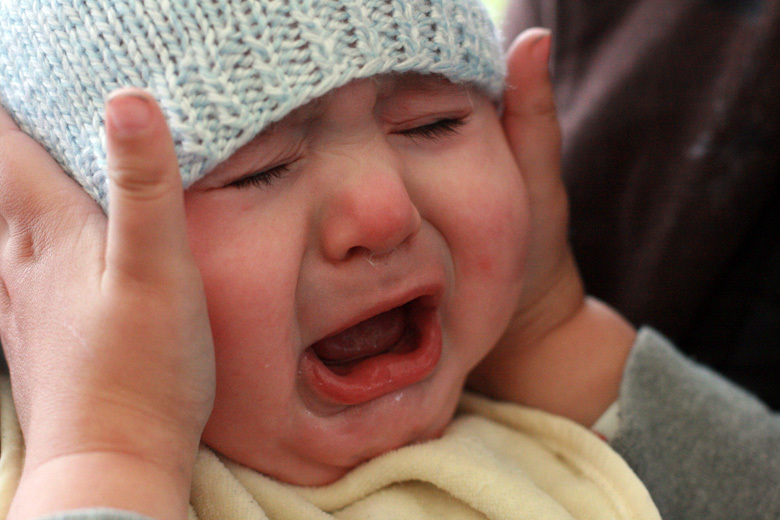 My favorite was the picture of Mikko shielding Alrik's ears. So sweet. And I love that he drew the face on the pumpkin. Kieran and I just sat and ogled all of the fun activities - *I* want to jump in that bin of corn!! That looks so fun. 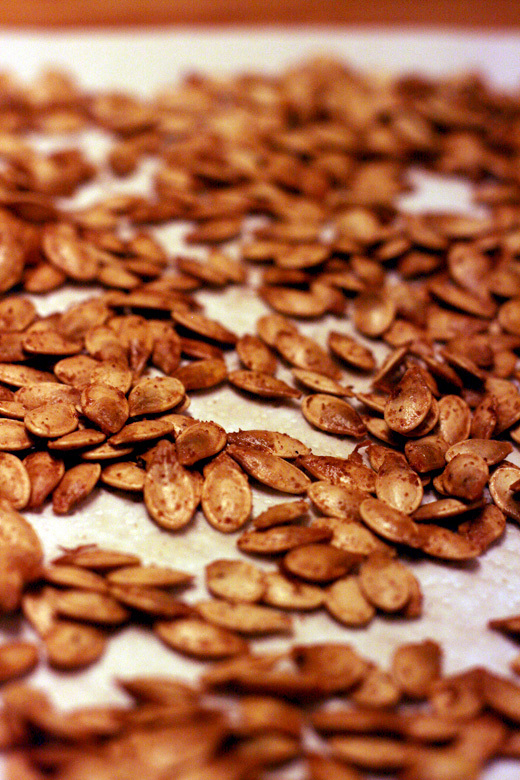 And I try pumpkin seeds every single year, and every year I'm all - what is the big deal? They're so . . . chewy. : / I'm obviously doing something wrong. i LOVE the pumpkin canon! what a great idea. ha! 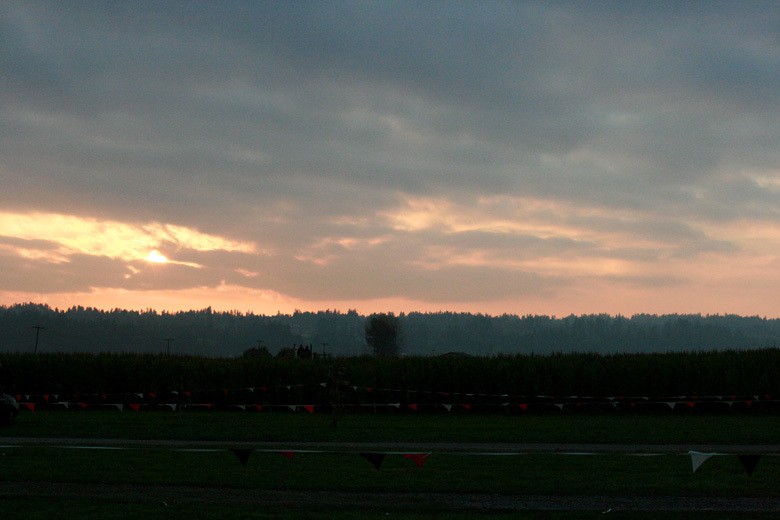 i've heard of stocker farms and had wanted to check it out when we lived in seattle. 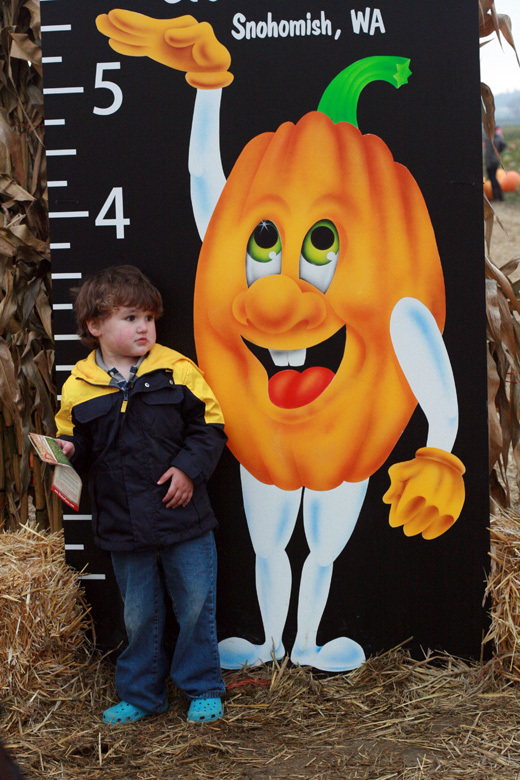 we have gone apple picking but never made it to a pumpkin patch. maybe next year! it looks like you guys had a a SUPER wonderful time. Wow! That place looks SO fun!! Oh my goodness, how did you do all of that in just one day? "Mikko should tell his face he's having fun." I'm dying...that's hilarious. 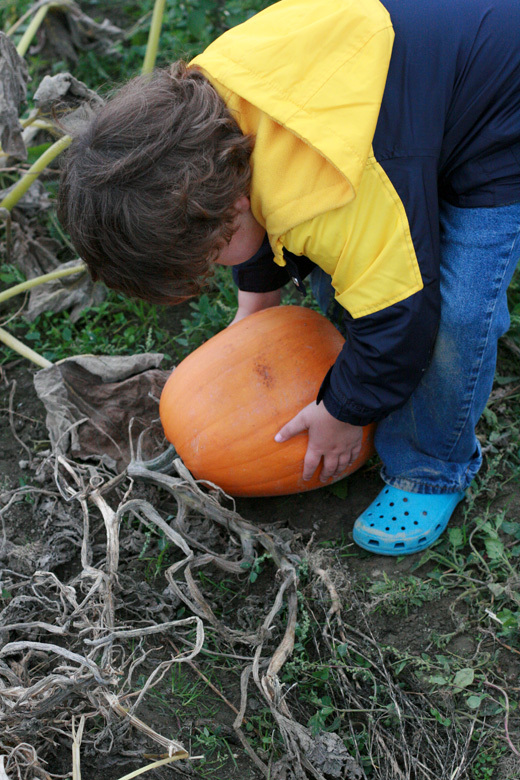 You found a great pumpkin patch! We went to one last weekend. 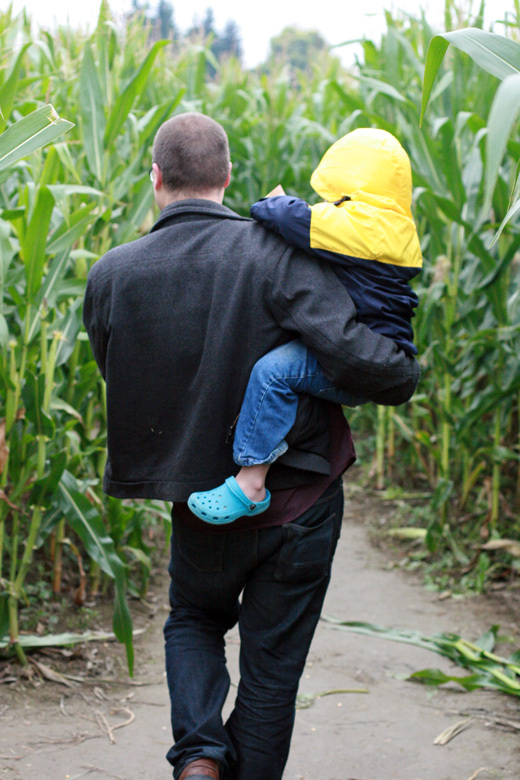 For ten bucks per person (even little people were ten bucks) we could walk through their corn maze. It was another five bucks to pet their two goats. 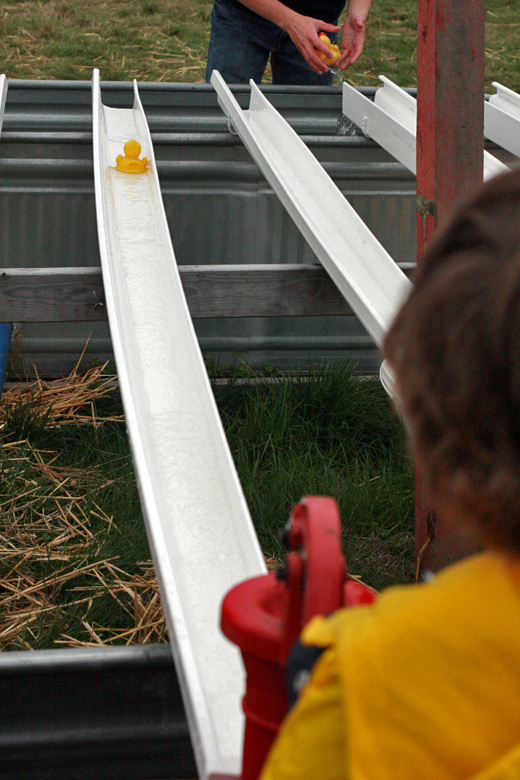 Two bucks to ride on a slide that would have given OSHA people an aneurysm, and another two bucks to "rent" a wagon. Needless to say, we skipped it. 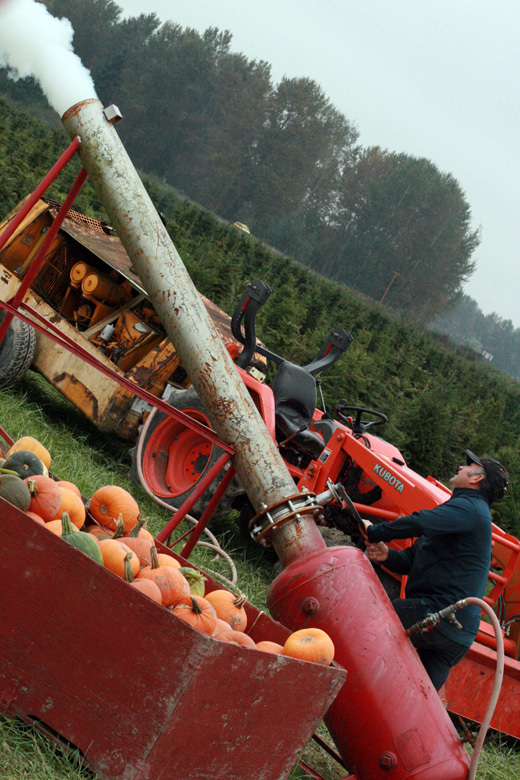 Your pumpkin patch looks way more awesome! Looks like a lot of fun! Wish we could've gone with you guys! I was all excited about the idea of a pumpkin cannon and then...Aww, poor Alrik! Wow, looks like you have a fabulous time! Visiting from Wordless Wednesday. 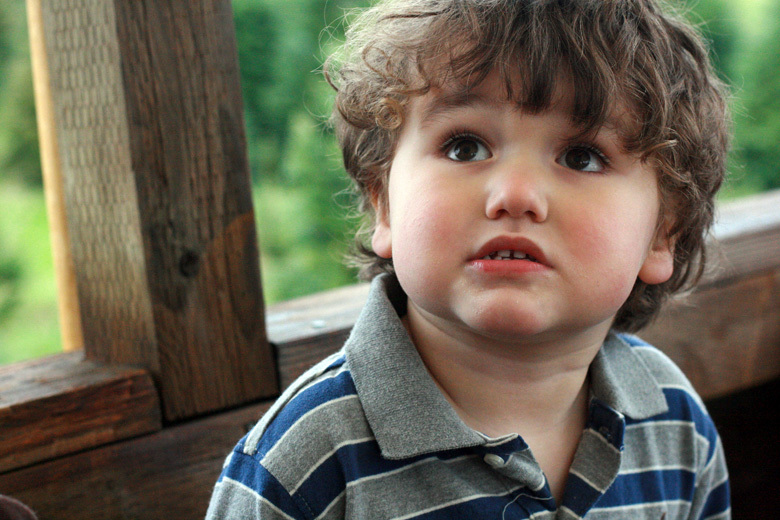 Come visit us and link up for our NEW Wordless Wednesday too! I love all of these photos, you have such an adorable family. I looks like you all had an amazing time. Love this time of year! It looks like you guys had a great time. Most awesome "wordless" Wednesday EVER. Love it. That first picture cracks me up! It looks like a postcard! That corn crib is cool. 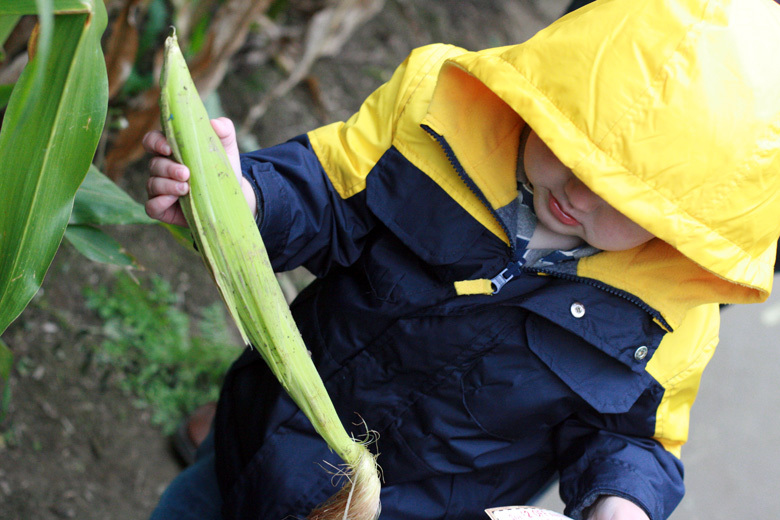 We've been to a farm that has a "nut house" with hazel nuts in it, but the corn is even better! 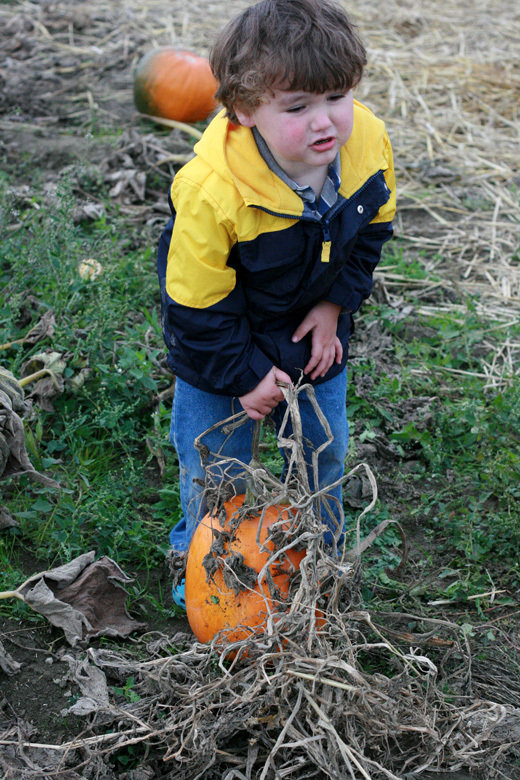 Did you really get to pick the pumpkins right off the vine? Everywhere I've gone they are already picked! That place looks great. We were running out of time so just went to the patch nearest us...I wasn't too impressed, but it was all right. 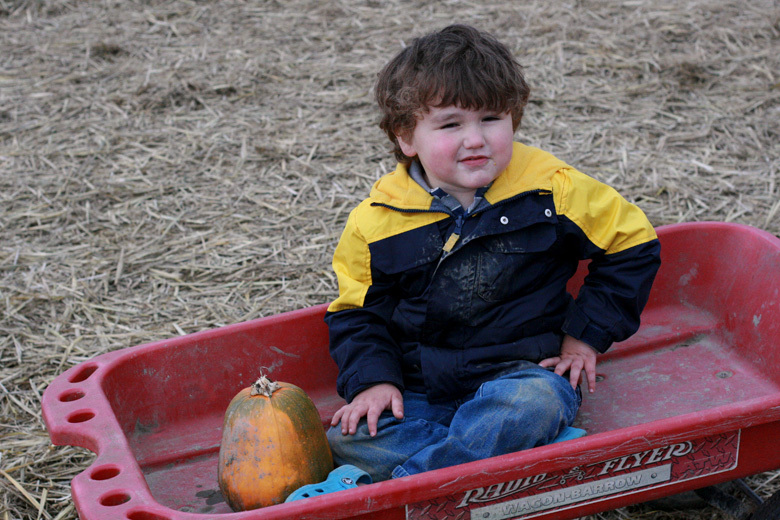 Michael really only cared about the pumpkins until I mentioned the hayride. Love the pics! That place looks amazing! Just stopping in from MBS for Wordless Wednesdays! Wow! 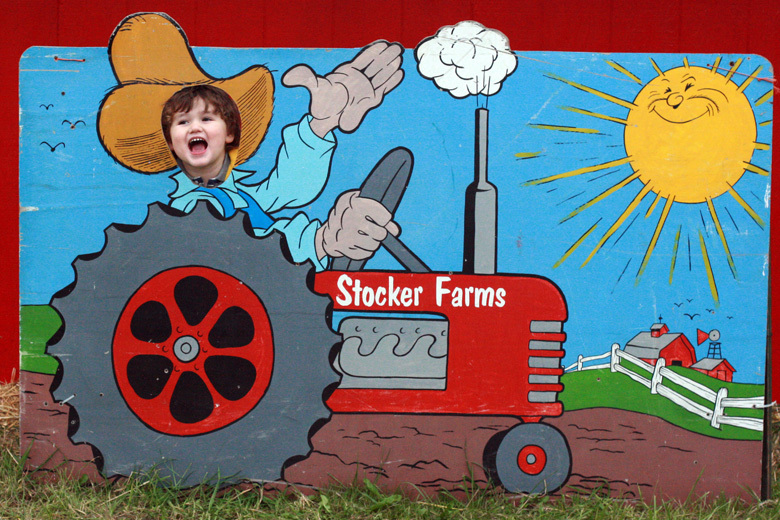 We just went to The Farm at Swans Trail but Stocker Farms looks like more fun! Have to go there next year! 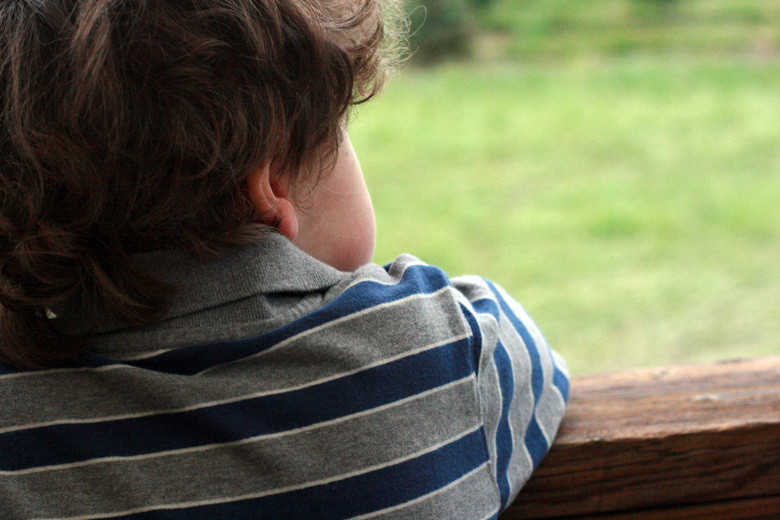 Visiting from Natural Parent Network! 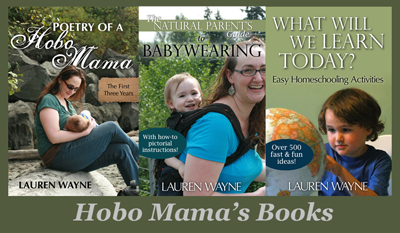 Oh my gosh, what an awesome photo series! I think the cartoony posing board might be my favorite of such things I've ever seen! The corn looks like it would be great for playing! And it wouldn't get stuck between your toes! At least not as much as sand. The hay bale appears to make a perfect changing table! That is a very sweet nursing pic! That train! Oh man, what a cool idea! Is this place an amusement park?! Sam is SUCH a good sport on photos! Elmo is usually pretty good, too, but I don't get nearly enough photo ops. We need to do more stuff or somethin'. 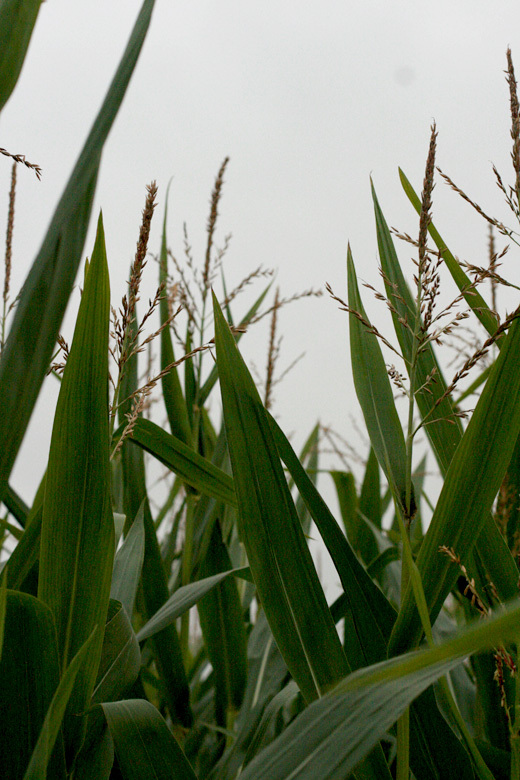 lol For some reason, I always pictured corn mazes as... I don't know, more like a maze made of hay bales, maybe? I think I just thought of it as being more YELLOW. I don't usually like roasted corn because it gets browned and dry, but that corn looks yummy! Was it a *maximum* height sign? I love that people tag me for or send me spider pics! (and photo ops there seem to happen more than shark pics) - Great shot, thanks for thinking of me! 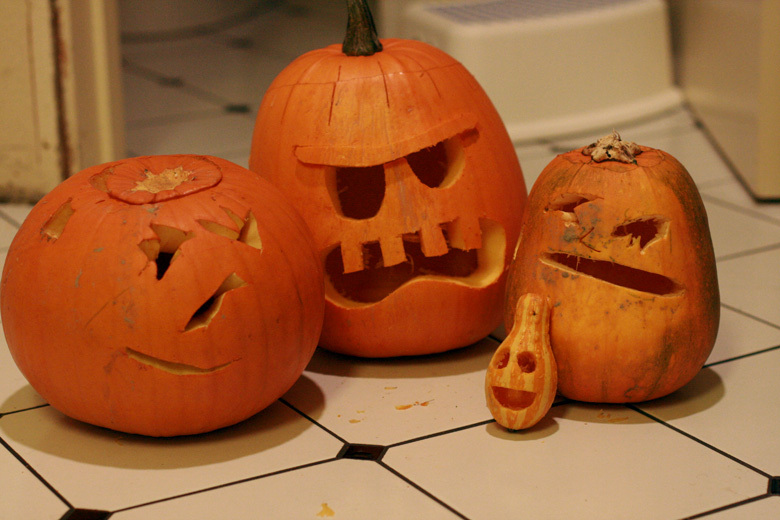 Your jack-o-lanterns came out great! I love digging out the guts, though I've only done it once. I don't really like any pumpkin products, though. 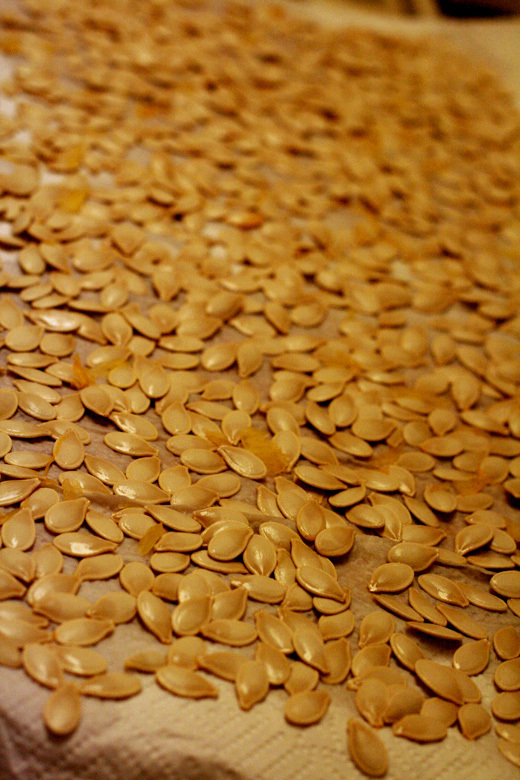 Not pie, seeds, coffee, whatever. Bleh. Great series! Thanks for sharing! That is a really awesome pumpkin patch!! 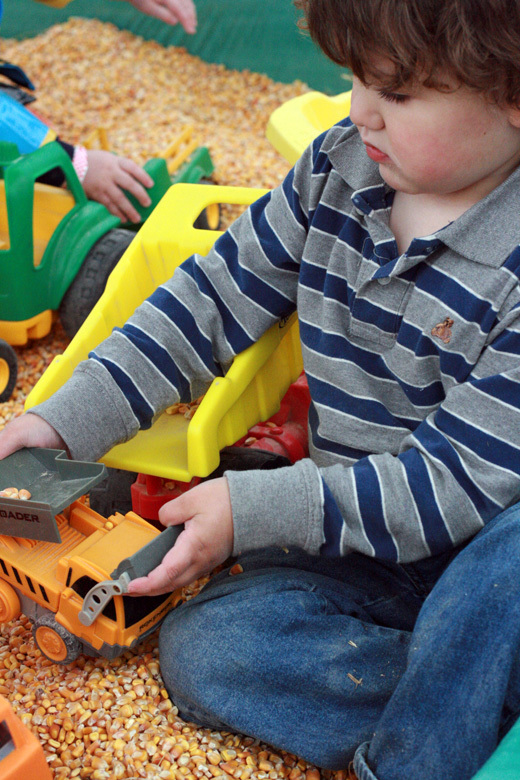 I Love that corn sandbox! The pictures are all so cute. Mikko is so tall! Reminds me of the Common Ground Fair in Union Maine! Looks like lots of family fun! visiting from ww on MBS. Looks like a fantastic day, even if Mikko's face disagrees :o). Great photos! I love the animated picture at the top. Looks like you had a blast! I'm visiting for the first time and loved looking at your pictures. Seriously some of the best jack-o-lanterns I've seen. 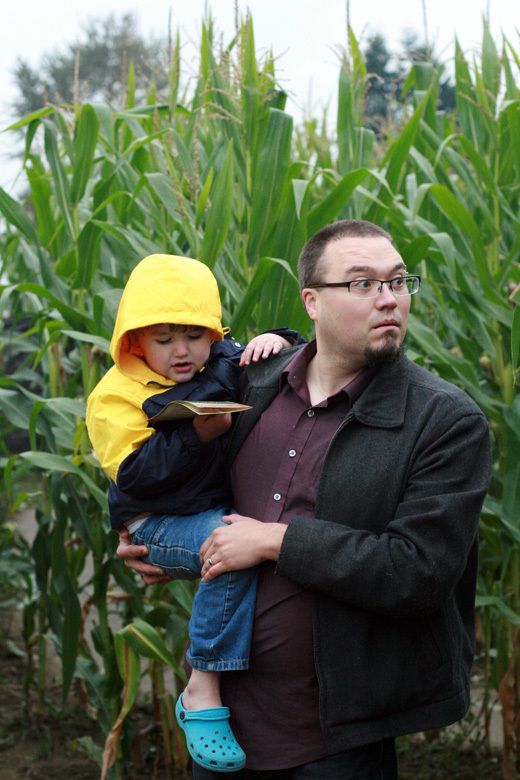 And what a fun day--I couldn't get my husband to go anywhere near a corn maze. Your little guy's adorable!! !